I was a bit of a late comer when it came to digitally stored music. Partly it was because I was too busy, partly because being a practical sort of person, spending money on a electrical storage device always seemed to be a bit of a luxury. I also like to see my possessions, not have them invisibly stored in a little computerised box. Music and videos to me are like books and should be displayed. I like looking at them, I like browsing them. They are a part of me given that I don’t generally buy anything which I am not really really keen on. To be honest I would never have even got into iTunes but someone kindly gave me an old Apple iPod. They had barely used it at all whilst within days I was using it to its full capacity, linked it to various bits of kit around the house and had apps for everything for planting seeds in my vegetable patch to tracking the planes flying over head, something which is quite a frequent occurrence when just 15 miles from Londons Heathrow Aiport and several other major airports too. What I most liked about it though was the facility to store my music and just as good to purchase new music legally. Did you see the last word of that previous sentence? I’ve never been one to pirate music or movies. If something is good enough for me to buy then it is good enough to pay for. We as writers should all be in agreement with that right? Lots of people complain about iTunes but it also has legions of fans and I am one of them. It’s so easy to port over your old CDs along with album covers and info and have you own personalised little jukebox which just happens to be able to do thousands of things as a bonus. One bizarrely diverse iTunes collection and that is just for the A’s. As well as liking the fact that iTunes is 100% legal and pays artists for their work, I like its simplicity and ease of use. I have a hugely eclectic range of music on my ‘new’ iPod Touch. Anything from Abba to (The) Verve. I’m not one though for obsessing over every track from a particular musician. To be honest I don’t really care about them and I don’t have time to become familiar with them and so enjoy them. Whereas in the old days there was little choice to purchase a complete CD or record even if you only wanted their only number 1 hit, now I don’t have to. Which means in effect whereas before I would go without buying any of them, now I can pick and mix and buy the one or two songs that I actually really like. It separates the wheat from the chaff! Following from this theory I have also bought the selected hits of the various decades. Not for me the hours of exciting music from the 60’s which to my modern ears at least sound bland and samey or indeed the same which can be said of the electro pop of the 80’s or the seemingly talentless monotonous spoken rap and beats of todays chart music. However I can pick the hits that transcend the decades or ones that remind of memories of the distant and not so distant past. When I have a flashback and remember how much I liked the sound of something or heaven forbid hear something new that I like then it is easy to buy a copy for a few pence and add it to my collection. As I like travelling and like to think of myself as multicultural then I don’t just limit my music to British or America. I have Scandinavian which I can understand and French that I can’t. I have Mozart or Beethoven which everyone has heard and medieval Iranian nei music on which I’m pretty much on my own. 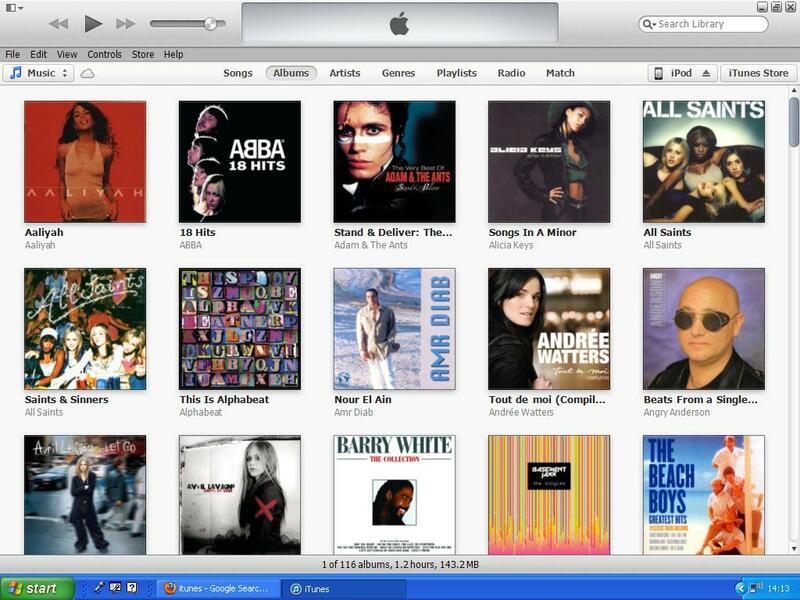 I also like how on iTunes you can play random songs or by artists, albums or even themed playlists. I have not got several gigabyte of music but to be fair to me, I do listen to nearly all of it. I know exactly how many songs of my favourite albums I can listen to on my drive home, how I can listen to one long track or 3 or my favourite shorter ones when I shower. How I can listen to whatever takes my mood at the touch or a button, or swipe of a touch sensitive screen. One of my favourite pieces of music is track number 5 on my Buddha Bar Volume 1 CD. I remember my trip to Buddha Bar in Paris very well even though it was many years ago. An extremely trendy and relatively obscure club restaurant that only came to live at about 2am and had the most wonderful mixed and original music. 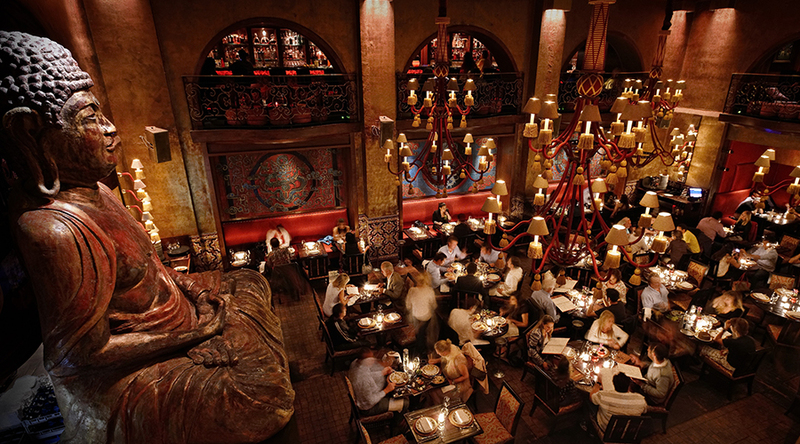 Inside it was themed as a kind of 1930s opium club with much of the largest area dominated by a giant buddha. The night I was there it seemed to be particularly popular with uber rich Russian business mafia types but I still remember ‘What Will Be’ by Zeava Ben. The singer is a Jewish Israeli with Moroccan heritage and the music is a great mix of styles and cultures. I am sure that most many people will have watched one of my favourite films “The Shawshank Redemption” . There is a scene where Morgan Freeman’s character Red heard some Italian opera that he couldn’t understand but loved dearly. He said “I have no idea to this day what those two Italian ladies were singing about. Truth is, I don’t want to know. Some things are best left unsaid. I’d like to think they were singing about something so beautiful, it can’t be expressed in words, and makes your heart ache because of it. I tell you, those voices soared higher and farther than anybody in a gray place dares to dream. It was like some beautiful bird flapped into our drab little cage and made those walls dissolve away, and for the briefest of moments, every last man in Shawshank felt free”. That is a lot how I feel when I listen to that song. It’s in Hebrew and from what I can gather it is about two lost lovers looking across a hot desert but more than that, I don’t want to know and don’t need to know but a more touching mournful song is hard to find in any language. Here is a link to the song and video. This entry was posted in Life, Popular Culture and tagged Culture, iTunes, Life, Music. Bookmark the permalink. Heavenly song – I’m a big fan of soundtracks and foreign music. Itunes has definitely helped expand the music industry. Shawshank Reemption is a great movie. For some reason, it reminds me of Slingblade, which I think came out about the same time. One is about a man going from freedom to prison, to freedom again, and the other is about a man going from imprisonment to freedom to imprisonment, but in a free way. Thank you for visiting my blog, and thanks for the music link, too – beautiful! I haven’t seen Slingblade or even heard of it so I am going to check this out. Thank-you. Shawshank is maybe my favourite film. Such a good and rewarding tale and Morgan Freeman could narrate a telephone directory and still make it sound wonderful. Yes that tune is too beautiful for words. Thanks for visiting! I think you’ll like Slingblade a lot. I do enjoy Morgan Freeman in about any film he does, also. Last fall I eliminated my old sound system, donated all of my old LP’s, tapes, and most CD’s. I still have a few CD’s, my favorites, that I have not yet transported to itunes. Now I too am an itunes believer. This is all part of my reduce, reuse, recycle effort and my goal to downsize and simplify, simplify, simplify. It is a process. I am in a similar situation, just a few CDs now and these are mainly those I can’t decide if I will ever listen to again or my absolute favourites. It does save lots of space. Thanks Stephen for reminding me of “Habibi”! I had just recovered, now I have to start therapy all over again! It gets worse by watching the video. How bizarre one of our biggest memories of Egypt is this song. That was an excellent read, and I agree with you. I can’t stand people downloading stuff for free instead of paying for what they want. I had some issues with iTunes when I switched computers, and eventually I ended up using Spotify instead, with a membership so I don’t have to listen to the oesky commercials. It doesn’t have as many functions as iTunes, but it does the job, and it actually does a great job of creating customised radio stations based upon your personal taste. Yes I am wondering how smoothly my Itunes will transfer whenever I get a new computer. I used to read about how people criticised it a lot for its user-friendliness and flexibility but I haven’t had any problems with it. I did think of using Spotify but when someone gave me a 4 year old iPod Touch it made the decision for me. My brother goes nowhere without his ipod. He was saying last week that a good night out can be judged by how much music he downloaded off itunes when he arrived home. Most of which he forgets he bought! The one problem with it is that it is so easy to buy music that it is easy to spend more than you’d do by going into a music store or even ordering online. I guess your brother has the same problem! OMG the All Saints!?!?! I zoomed in on that I was very surprised lol Thats a throwback for me seriously! I had the fist zune player the big boxy one that weighed a ton! And it was attached to my hip lol We were a microsoft family until I purchased my first macintosh way back then. Now I load my life and playlist on my cell phone and keep backups on my home computer but the switch from plastic cd cases to the ease of scroll, click, and play is a winner in the on & forward. Yes I can imagine seeing All Saints would be a shock. Well I have 32gb to use up and I liked “Pure Shores” what more can I say! It is definitely hard to see a downside from going from CDs to iTunes or a similar service. I listen to so much more music now just because it is always at hand. Great post! Going from pc to Mac, it took a while to figure out the quarks in iTunes, but once I did, I love it. Agreed about music. It’s a universal language that speaks to the soul. I don’t need to know the words to feel. Love classical and Sufi music. Cheers! Me too. I have lots of foreign music which I enjoy. It’s interesting how some tunes just seem like a big hit in any language. Some of the others I like are Andes Pipe music, Native American music and Iranian nei music. I am always fascinated by nei music, it is punctuated by pauses and apparently there are about 13 different lengths of pauses each just a fraction of a second longer than another and each length of the pause is to express a different emotional meaning. Agree, iTunes is a great way to store your music butI’ve now discovered Spotify which is a library of practically every song ever recorded which you can dip in and out of at your leisure. Thanks lazybill. Don’t go making me start over again on spotify!! I love iTunes, but I agree- like a well-curated bookshelf, there is some pleasure to be had in visually perusing CDs!